Data from the Turkish Statistical Institute shows that mothers are responsible for child care in 89.6% of the families in Turkey. The data also demonstrates that 43% of women have only a primary school degree, 8% are not literate, and 74.9% of women with no literacy have four or more children. 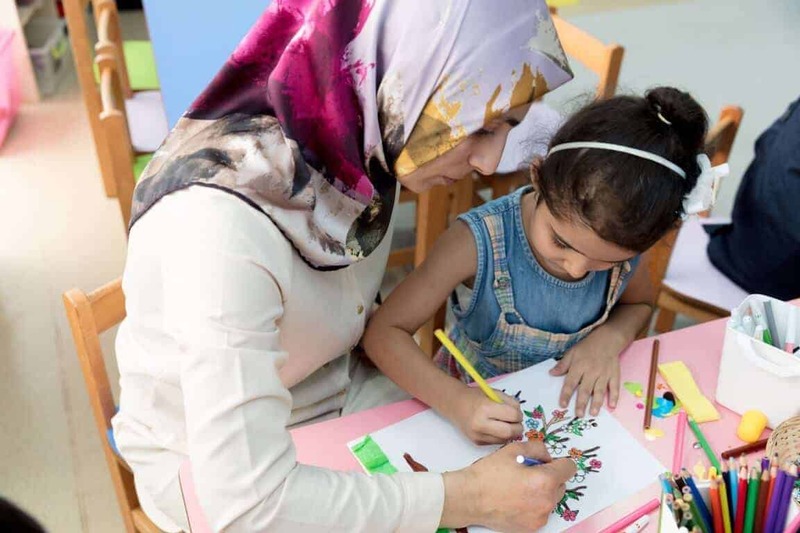 To address these issues, AÇEV serves mothers from different levels of socioeconomic status through either basic or advanced educational programs to empower these mothers in supporting their children’s development. The Mother Support Program (MSP) aims to support, through education, mothers’ efforts in their capacity as the shapers of a child’s development and the closest to a child; to contribute to their parenting skills. Through the MSP we provide mothers with children in the 3-11 age group with information and support about child-rearing and development issues. A course typically lasts 12-13 weeks. Class sizes are normally 20-25 people. Topics covered in the program consist of the role of the family in child development; children’s cognitive, physical, emotional and social development; toilet training; school, family, and community relationships. Topics exclusive to mothers include reproductive health, birth control, breast cancer, and sexually transmitted diseases. These trainings increase mother’s self-confidence and their effective role in their children’s development. They also serve to provide children with supportive environment where the mother has an increased sensitivity for child development and hence an increased role of an educator in their children’s lives.